Last month Maxwell alumnus Sandeep Silas, ’08 MPA, successfully organized “Ibadat-E-Aman,” or “Worship for Peace,” an evening dedicated to bringing cultural harmony to India and Pakistan. 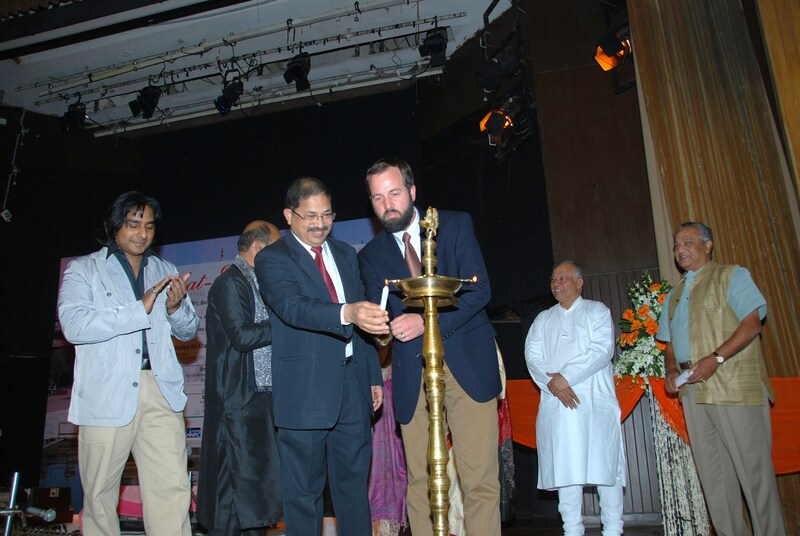 Silas, a poet and civil servant in Delhi Province, India, brought together members of the community, including Dan Nelson, Program Manager of the Maxwell School’s Executive Education Program, with a “message of peace and cultural unity of the subcontinent.” Ustad Shafqat Ali Khan, internationally-renowned singer, engaged the crowd with Sufi nazams and ghazals, or eastern poetic forms set to music. Silas recited pieces of his own work from his forthcoming books, “Ranai-e-Khayal” (Beauty of Thoughts) and “Ruhani Khayal” (Divine Thoughts). The event was presented by the Ehsaas Foundation, Delhi, and St. Stephen’s Society, Agra, two organizations that strive for the betterment of educational and cultural programming in India. This entry was posted in Alumni in Action and tagged India, Maxwell School, MPA, Pakistan, Sandeep Silas, Syracuse University. Bookmark the permalink.